I created the Anne Fontaine Foundation because I want to leave a better world for the next generation. As a mother of three, I realized how curious and fond of nature children are. If we engage them at an early age, we can help contribute towards a more committed society. The NaturArt contest is a fun way to teach children about the environment. In doing that, the Foundation hopes to plant seeds not only in our forests, but also in youth minds. Each year the foundation organizes an art contest called the Naturart. With education as a key role of Anne Fontaine Foundation’s mission, the NaturArt contest is both an educational and artistic initiative to raise awareness among young students. The contest involves a cross-collaboration between the Foundation, teachers and students. Though the theme always revolves around the preservation of nature, students are encouraged to seek their inner creativity to portray the message they wish to connote to nature. Since 2012, the Anne Fontaine Foundation has partnered with 5 schools : in Manhattan, the Lycée Français of New York – in Harlem, the Storefront academy – in Rio de Janeiro, the British school, the pre-school Amanhecendo and the GEA public school. With the dynamic support of the art teacher Latosha Rowry, the fifth grade class of the Storefront Academy chose to work on the representation of the fauna and the flora in the Mata Atlântica. 17 students have worked during 1 week and drawned amazing animals and plant species in the Mata Atlântica! 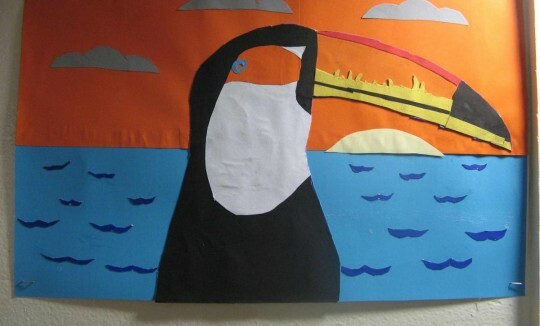 The teacher encouraged the initiative saying that ” The art contest is a great way to teach students the importance of saving our environment. Children are our future, so we must instill values that will carry on throughout their lives“. 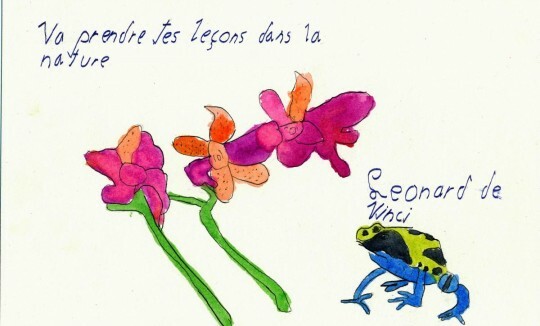 The art contest was sponsored by the French company Bic and the online magazine news-o-matic (Press4kids). 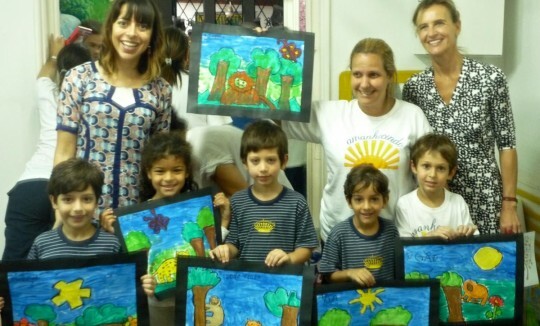 With the dynamic support of the principal Fernanda Uchôa Cavalcanti, the pre-school Amanhecendo chose to work on the Mata Atlantica’s fauna and flora through painting and collage. 164 kids have participed for 2 months- our biggest group to date! With the support of BIC®. The British School, Rio de Janeiro partnered with the Foundation for the second time with the help of Arlete Young and Awena Jones, art teachers. 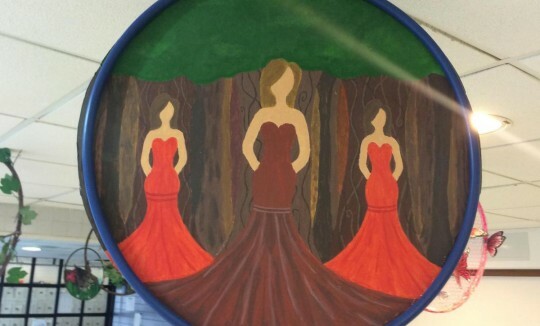 Students from Class 8 worked on the theme « Rainforest » through the use of diversified materials and a round frame as a canvas. At GEA, the NaturArt contest has mobilized 56 students and 11 teachers. Each student worked on the theme of tropical forests through drawing. In a science class expedition, they collected leaves, cut and amplified them in order to creatively set the scope of their artworks. The winner is given the opportunity to participate at the Art Fair in Rio as an intern. 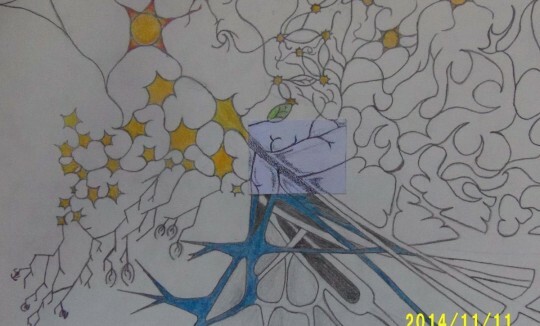 For this edition, the Art Contest received the guidance of Dulce Nascimento, a famous botanical illustrator of the Brazilian flora and fauna. 4th graders in Lana Katrangi’s CM1A class created a series of pen-and-ink drawings highlighted with watercolor. Their illustrations consisted of representing a plant and an animal at risk of extinction in the Brazilian Rainforest. Using calligraphy, the students also transcribed a quotation that instilled in them the importance of preserving and respecting the environment. 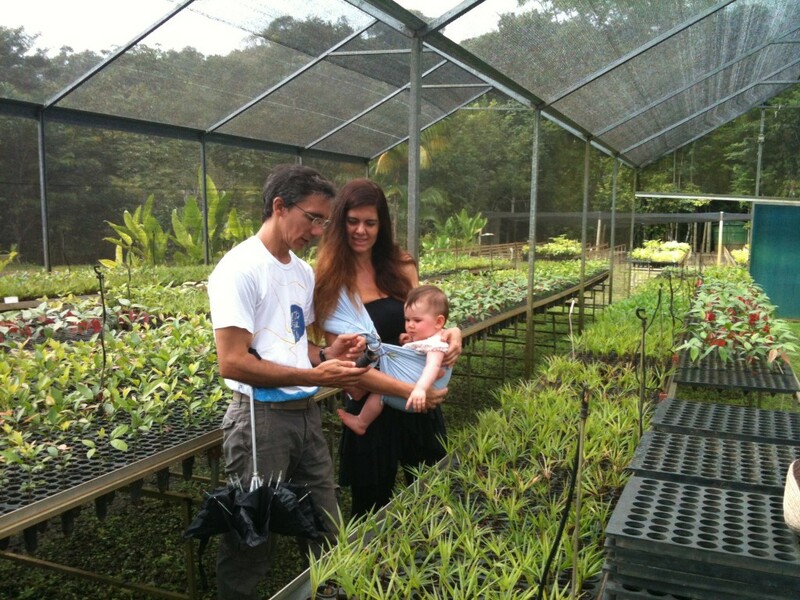 Dulce Nascimento could talk with the kids via Skype and she tought them how to paint a flower of the Mata Atlantica. The students also answered questions about the Nature. To see them, click here. The contest would not be possible without the support of Arlete Young and Awena Jones, art teachers from The British School of Rio de Janeiro. They have engaged the school in all the phases of our contest with great energy and passion for the art. We also received the valuable guidance of Dulce Nascimento, as the Godmother of the contest.